Zoosk provides a unique experience combining games fun aspects of a social networking with the seriousness of a senior dating site. Here, no endless questionnaires, Zoosk uses its trademark: the Behavioral Matchmaking ™ system to give you the best results. This powerful tool feeds off of your actions such as profiles you have visited in order to suggest matches as Zoosk believes that they speak louder than words! This means the more you use Zoosk the more accurate these matches will become. 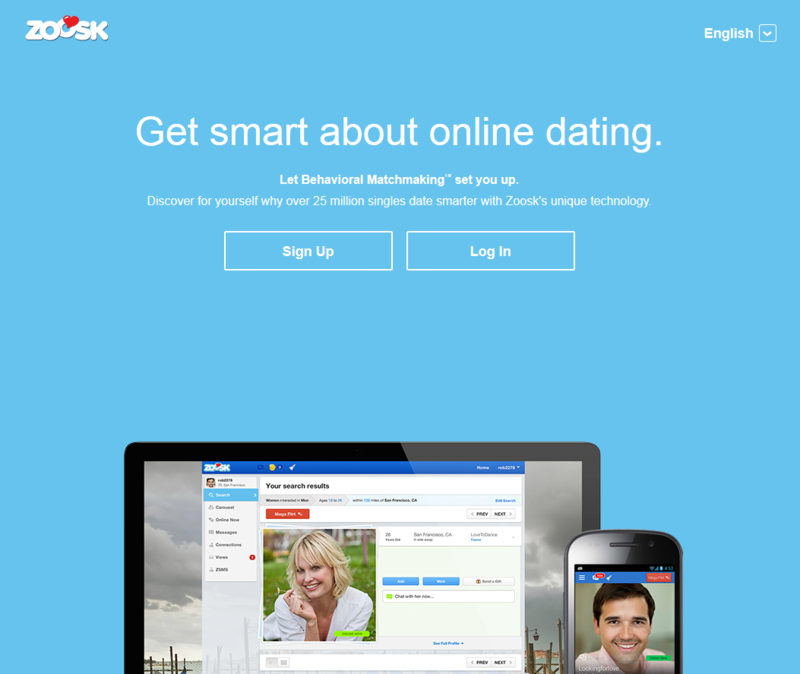 Zoosk : How does it work? 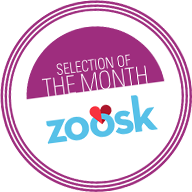 Joining Zoosk is a really easy process; you can even join without difficulty from your mobile phone with your Facebook account if you have one, or via their App which is available on Amazon, Google Play and the App store. Once you’ve created your profile and added all the relevant information you think you would like to share with other singles, you can start to use Zoosk’s compatibility test to find your most compatible matches. If you are looking for serious dating the more specific you are on your profile, the more likely you will find true love. To identify mutual matches the Zoosk Behavioural Matchmaking™ uses your profile information, preferences and activity on the website. Don’t forget that in order to get the full functionalities of the site such as getting in touch with users via the chat or to view who has visited your profile, you will need to buy a subscription to the site. Zoosk has a very easy interface that allows an enjoyable online dating experience. Its friendly-user websites is very visual and interactive. The Carousel: you can browse through members profile pictures. You can simply click “yes” or “no”. A fun way to browse potential partners! Zoosk’s Behavioural Matchmaking™ engine: filters who you’ll be attracted to from your search history, and then it will filter the profiles and only suggest the most fitting profiles to your criteria. Filter your preferences: the Behavioural Matchmaking™ will find you the profiles that best suit your preferences using your activity on the website. The more you use the site, the more accurate these suggestions will become. Zoosk Scientific Matchmaking Service™: it will suggest a potential match every 24 hours. All you need to do is “like” the suggestion to express your interest and if the person likes you back, you will be introduced. Zoosk is based on its communication tools to allow users to interact in the most efficient way. You can find lots of senior dating tips in order to increase your chances of succeeding in your quest for love on Zoosk’s online dating blog. Zoosk website is completely safe as your data is encoded to protect your privacy. All profiles are reviewed before being published on the dating platform, therefore, adding an extra layer of security. Zoosk is an international company which has gained popularity over the years. A trusted senior dating website that also provides to its users a great online help centre to help you solve most of your possible troubleshooting. Zoosk is an easy-to-use dating site that focuses on social networking, its attitude towards online dating breaks the mould due to its clever compatibility tool. The social feature of dating on Zoosk creates an enjoyable stress-free environment to meet other mature singles.